Hough was upset with his cousin's landlords, Ted Bosler and Gene Rubrake. When his cousin failed to pay rent, his landlords took his cousin's property. Along with his brother, Duane Lapp, Hough went to their residence in Fort Wayne "to get the property back." They were invited inside and once downstairs, Hough pulled a .45 automatic pistol. When Rubrake swung at him, Hough shot him in the chest. Bosler dropped to the floor and Hough shot him in the back. Hough then shot Rubrake again in the face. Hough took a TV remote and a beer which he thought may have fingerprints and left. Lapp testified at trial as the State's star witness. In a separate trial, Hough was also convicted for murdering Antoni Bartkowiak during a home invasion 11 days before the murder of Bosler and Rubrake. Pivarnik Opinion; Givan, Shepard concur; Debruler, Dickson dissent. PCR: 06-21-93 PCR filed; PCR denied 08-09-94. Affirmed 5-0; Selby Opinion; Shepard, Dickson, Sullivan, Boehm concur. Hough declined a last meal. "I hope the victims families get some measure of satisfaction. Hopefully their grief won't be so much." A Fort Wayne man is scheduled to be put to death later this year for killing three people nearly 20 years ago. The Indiana Supreme Court has set May 2 as the date Kevin Hough, 43, will die by lethal injection. Officials say Hough exhausted all of his appeals in Indiana's courts, but has two federal appeals remaining. Hough was convicted in 1985 for killing Gene Rurbrake and Ted Bosler in the basement of their Fort Wayne home. He was also convicted of killing a Polish immigrant. On November 6, 1985, Hough and his younger brother, Duane Lapp, set out for the home of Ted Bosler and Gene Rubrake. Once there, Hough approached Gene and helped him unload groceries from his car; Lapp accompanied Hough. Hough then followed Gene into the basement where Ted joined them. Once in the basement, Hough pulled a .45 caliber pistol from his shoulder holster and told Ted and Gene to lie down on the floor. Gene swung at Hough with the television remote control. Hough responded by shooting Gene in the chest. Ted, however, dropped to the floor; Hough then shot Ted while he was lying on the floor. When Gene appeared to move, Hough shot him in the face. Hough and Lapp then started up the stairs, but Hough returned to the basement to retrieve a beer can and a remote control that, he believed, might contain his fingerprints. While in the basement, Hough also removed several rings from the bodies of his victims. As Hough left the basement, he stepped on Gene's face. After the murders, Hough took Lapp back to his (Hough's) home. There, Hough packed and left for Indianapolis with his fiancee, Noreen Akers. Less than a month before the Bosler/Rubrake murders, Hough had committed another murder. On October 27, 1985, Hough had told his friend, Juan Fernandez, that "[t]onight's the night to hit Greg's house." Then Hough, Fernandez, and another man, Donald Maley, went to the home of a man named Greg for the purpose of evaluating the prospects of robbing the house. Hough directed Fernandez to park approximately three to four blocks away on another street; Hough and Maley left the car and went to the house. When Antoni Bartkowiak answered the door, Hough stuck a .45 caliber handgun into his stomach and backed him into the residence. Hough made Antoni lie down on the floor, and Hough and Maley handcuffed Bartkowiak's hands behind his back. Hough discovered a semi-automatic weapon and shells in the house, which he handed to Maley. Hough then told Maley to hold it against Antoni and use it if necessary. Hough then searched the house. After ransacking the house, Hough questioned Antoni regarding cocaine that he believed to be in the residence. When Antoni denied knowledge of the cocaine, Hough used a device to inflict electric shocks on Antoni. Hough and Maley then took Antoni to the basement. En route downstairs, Hough instructed Maley to return to the main floor to get a cushion from the couch. Once in the basement, Hough forced Antoni to lean over a rollaway bed. Hough then took the cushion, placed it over the back of Antoni's head and shot Antoni. After the murder, Hough and Maley returned to the car and left for home. Hough took two bags of stolen items to the basement of the house and emptied the contents. Hough then gave Maley $80 and stated that it came from Antoni's wallet. He also told Maley that he could have the shotgun, but Maley declined. After complaining to Hough that he had not gotten his share, Maley left. After that, Hough told Fernandez that he had found an additional $400, but that he did not wish to divide it with Maley because Maley had not done his part. A few days later, Hough gave Fernandez the .25 caliber semi-automatic weapon and told him to dispose of it; Fernandez did so. Hough was tried and convicted for the murder of Antoni Bartkowiak in November 1986. Condemned for killing 2 men during a robbery, Kevin L. Hough was executed this morning. Ending 17 years of appeals, the U.S. Supreme Court denied Hough's final appeal Thursday and refused to stop his execution. Hough, 43, received a lethal injection this morning just after midnight at the Indiana State Prison. He was convicted of the 1985 murders of two Fort Wayne men. "I hope the victims' families get some measure of satisfaction," Hough said shortly before he was put to death. "Hopefully, their grief won't be as much." Prison officials said Hough was pronounced dead at 12:25 a.m. He spent Thursday afternoon talking with his daughter, mother, grandmother and aunts. "He actually has dealt with this whole situation with great dignity," said John Stainthorp, Hough's attorney, adding that his client "is obviously concerned (that) he didn't get adequate representation of justice." Hough expected to spend his last hours with a Catholic priest. Wednesday, Gov. Frank O'Bannon denied Hough's request for his death sentence to be commuted to life in prison. In 1987, Hough was sentenced to die for killing Ted Bosler and Martin "Gene" Rubrake, longtime Fort Wayne roommates. Those crimes came soon after another man died at Hough's hands. Prosecutors said he used a cattle prod to torture Antoni Bartkowiak before shooting him. That killing helped prosecutors convince a judge that the death sentence was appropriate. 6 hours before the scheduled execution, heavy rain blew across Indianapolis, drenching the governor's residence at 46th and Meridian Streets and a half-dozen protesters gathered outside. "The way we look at it, there's a man in Michigan City waiting to die a violent death," said Charlie Kafoure of the Indiana Information Center on the Abolition of Capital Punishment. "We can afford to stand in the rain." O'Bannon, however, wasn't there, having moved while the building is renovated. The demonstrators said it was symbolically correct to protest there; O'Bannon has declined to stop all previous executions carried out during his time in office. "It's wrong to kill for the sake of killing," said Steve Schutte, a public defender. "It's wrong that Mr. Bosler and Mr. Rubrake were killed, and it's wrong to kill Mr. Hough." Hough's current attorneys argue that their client received abysmal legal representation from two part-time public defenders. But state and federal courts disagreed, affirming Hough's death sentence. Hough maintains his innocence in all 3 murders. Prosecutors maintain the following: On Nov. 6, 1985, Hough and his 16-year-old brother, Duane Lapp, went to the roommates' house. Hough helped Rubrake unload groceries from his car, then followed him into the basement. He pulled a .45-caliber pistol from his shoulder holster and told Bosler and Rubrake to lie on the floor. He shot Rubrake in the chest and Bosler while he was lying down. When Rubrake appeared to move, Hough shot him in the face. Before leaving the home, Hough took a beer can and remote control he thought might have his fingerprints and removed several rings from the bodies of Bosler and Rubrake. As he left, he stepped on Rubrake's face. After the killings, Hough dropped his brother off and then almost immediately moved to Indianapolis. 11 days earlier, Hough and 2 other men went to rob a home. Bartkowiak answered the door. Hough stuck a handgun into Bartkowiak's abdomen, made him lie on the floor and handcuffed his hands behind his back. After ransacking the house, Hough used a cattle prod to torture and question Bartkowiak about possible cocaine that was in the house. He then took Bartkowiak to the basement and shot him in the back of the head. Hough was convicted of murdering Bartkowiak and sentenced to 60 years. Hough becomes the 1st condemned inmate to be put to death this year in Indiana and the 10th overall since Indiana resumed capital punishment in 1981. Hough becomes the 30th condemned inmate to be put to death this year in the USA and the 850th overall since the state resumed executions on January 17, 1977. MICHIGAN CITY - Kevin Lee Hough didn't confess to killings committed nearly 18 years ago, but was thinking of his victims' families when he was put to death by lethal injection early today. Hough, 43, was pronounced dead at 12:25 a.m. after three lethal chemicals were pumped into his blood. His last words were: "I hope the victims' families get some measure of satisfaction. Hopefully their grief won't be as much." Eleven members of the victims' families attended, but did not witness the execution. None of them wished to speak afterward. Hough was sentenced to die by lethal injection for his role in two 1985 Fort Wayne slayings, becoming the 10th man put to death in Indiana since the death penalty was reinstituted in 1977. The last time an Allen County resident was executed was in 1961. Hough offered no physical resistance a few minutes after midnight when he was placed on a gurney. IVs were inserted into his arm and his death warrant was read. The Rev. 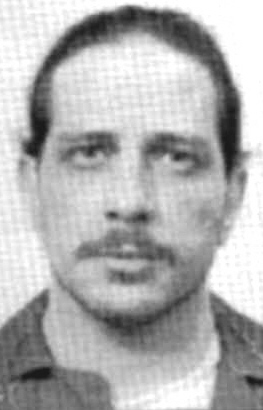 Joe Lanzalaco spent more than four hours with Hough immediately before the execution. He said they talked, watched TV, listened to music and prayed. At one point, Lanzalaco said, Hough's stomach became upset from eating candy all day with his family. Prison officials brought him Maalox to calm him. "He never swayed from saying he didn't do it," Lanzalaco said. "He seemed to be at peace with himself at the end." Hough spent his last day alive visiting his family, talking on the telephone and praying. Hough didn't ask for any special meal. Instead, he ate scrambled eggs with toast and jelly prepared by prison staff. Hough had eight witnesses on hand to watch his death. A smattering of abolitionists gathered at the Indiana State Prison about 8 p.m., lighting candles and carrying homemade signs protesting the death penalty. "The only thing we can do is come and be a witness and hold a candle and hope this country becomes a more civilized land," said Helen Boothe, who has attended nine executions. Hough killed three Fort Wayne men within 11 days of one another. The first, Antonio Bartkowiak, was the roommate of an alleged drug dealer whom Hough and two others went to rob. According to court records and testimony, Hough tortured Bartkowiak with a cattle prod before handcuffing the man and taking him to the basement. He then instructed one of his co-defendants to get a cushion from the couch, which he placed over the back of Bartkowiak's head and shot him. Not even two weeks later, Hough shot and killed roommates Martin "Gene" Rubrake and Ted Bosler in their West Central home. Hough's half-brother provided a chilling narrative of the killings in which Hough stepped on one of the victim's faces before leaving the room, and then kicked a dog at the top of the basement stairs. He also took a beer can and remote control that he believed had his fingerprints on it. It is for the double homicide that he received the death penalty. Hough had maintained he is not guilty while sitting on death row for more than 15 years. Meanwhile his daughter has grown up, married and had two children, who have visited their grandfather in prison. His state and federal appeals have largely centered on allegations of inadequate defense counsel. He also has claimed that his abusive and dysfunctional childhood should mitigate his sentence. None of those arguments swayed Gov. Frank O'Bannon or the U.S. Supreme Court, who both declined to intervene. "He's holding up, taking this in a very dignified way," said Hough's attorney, Joey Mogul. "I just think this is an obsolete punishment - a homicide of a poor, defenseless man." But family members of the men killed by Hough saw the execution as justice. Joseph Bartkowiak, the son of Antonio Bartkowiak, called Hough a coward and said he was getting off easy compared to how his father was killed when Joseph was 13 years old. "He robbed me of my life with my father," Bartkowiak said. "I think he should be killed the same way he killed my father." Indiana's last execution was of James Lowery in June 2001. Hough will be the fourth Allen County man killed by the state - including the 1961 electrocution of Richard Kiefer, who stabbed his wife and 5-year-old daughter. Hough, a violent three-time killer from a "dysfunctional" family, is scheduled for execution May 2. Prosecutors said Hough, 42, stepped on the face of a man he shot and used an electric shock device on another victim before killing him. Hough was sentenced to death for the murder of two men who had become involved in a rent dispute with his cousin. The victims were his cousin’s landlords. Also, Hough was convicted of a previous murder during a robbery. In that murder, Hough forced the victim to lean over a rollaway bed, put a pillow against the victim’s head and shot him, prosecutors said. The murders Hough received a death sentence for occurred on Nov. 6, 1985. The victims, Gene Reubrake and Ted Bosler, were his cousin’s landlords. There was a dispute over back rent. Hough and his brother, Duane Lappe, went to the victim’s home in Fort Wayne. After helping one of the victims carry some groceries into the house, Hough pulled a gun and told the two men to lie on the basement floor. When Rubrake swung at Hough with a television remote control, Hough shot him in the chest. The other victim, dropped to the floor. Hough then shot him in the back. Meanwhile, when Rubrake appeared to move in the floor, Hough shot him in the face to finish him off. Hough removed several rings from the bodies of the victims. Before leaving the basement, he stepped on Rubrake’s face, prosecutors said. A month before those murders, Hough had killed Antoni Bartkowiak. This slaying occurred on Oct. 27, 1985. Hough, Juan Fernandez and Donald Maley went to the home of Greg Nicola to rob him. Bartkowski answered the door. Only Hough and Maley went inside the house. Bartkowiak was handcuffed and held at gunpoint. After ransacking the house, Hough asked Bartkowiak if he had any cocaine hidden around the house. When Bartkowiak denied it, "Hough used a device to inflict electric shocks on Bartkowiak," according to federal court documents. Later, Hough and Maley took Bartkowiak to the basement. Hough told Maley to get a cushion from the couch upstairs. Once in the basement Hough forced Barkowiak to lean over a rollaway bed. Hough then took the cushion, placed it over the back of the victims’ head and shot him. Hough took two bags of items and $80 from Bartkowiak’s wallet. Defense lawyers have portrayed Hough as being raised in a dysfunction family and as an unloved and unwanted child. Before the murders, he had a history of juvenile crimes, including armed robbery. A psychological analysis of Hough concluded that he had no remorse for the murders, was deeply troubled, had few feelings for others and refused to take any responsibility for his actions. The State of Indiana is scheduled to execute Kevin Lee Hough, a white man, May 2 for the murders of Martin Eugene Rubrake and Theodore Bosler in Allen County. Hough allegedly shot them in their home on Nov. 6, 1985. The state sentenced him to death in 1986. Throughout his legal proceedings, Hough received ineffective, unqualified, and at times abysmal defense counsel. At trial and on direct appeal, two part-time public defenders represented him, one of whom has been suspended from the practice of law by the Indiana Supreme Court for “his general pattern of neglect and inattention to cases,” as well as his “repeated failure to act on his client's behalf.” These attorneys failed to introduce favorable evidence and repeatedly allowed the admission of damaging evidence without objection. In one closing argument, Hough’s attorneys failed to object to 11 arguments deemed “improper” and “prejudicial” by the State. The attorneys’ lack of time, attention, and care was self-evident in the appeal filed – which not only failed to raise serious errors at trial but also served to waive meritorious issues preventing relief in the future. The state never afforded Hough an opportunity to challenge the effectiveness of his defense counsel or the fairness of the death penalty process in subsequent proceedings. As a result of poor legal representation throughout the appeals process, Hough has the unique distinction of being the only Indiana death row inmate in the last 25 years not to receive an evidentiary hearing on post-conviction review. The mitigating evidence in this case resembles many of the other troubling histories of death row inmates in the United States. Hough is a product of a dysfunctional, abusive family and a hostile environment. However, despite his upbringing and traumatic life, he has a network of caring, loving family members and friends, and has dedicated himself to reforming his life while in prison. As an inmate, Hough is known as a deeply religious man and a positive and calm force in the prison. Please write Gov. O’Bannon and the state of Indiana and request clemency for Kevin Hough. "Hough Executed by Lethal Injection"
(Michigan City, IN, May 2, 2003) - A Fort Wayne man sentenced to death for a double murder faced his fate this morning. NewsChannel 15's Angelica St.John was at the Indiana State Prison as Kevin Hough was put to death. Demonstrators stood outside the prison to voice their opposition to the execution of Kevin Hough. The protest was not marked with loud voices and crowds of people, but candles and only about 25 demonstrators. In fact, the number of demonstrators is almost equal to the number of media there to observe. At the same time, Hough was in a cell next to the execution room. Hough was sentenced to death for the 1985 murders of Ted Bosler and Gene Rubrake in their Fort Wayne home. Hough spent 16 years on death row. This morning, just before midnight, he was led to the execution room. Hough died by lethal injection at 12:25. Randy Koester with the department of corrections says, "He was asked if he had any final words and this is what he said, 'I hope the victims families get some measure of satisfaction. Hopefully their grief won't be so much.'" While expressing sympathy for the victim's families, all along Hough maintained he was not guilty. His attorney, Joey Mogul, who witnessed the execution, says she believes Hough didn't have proper legal counsel. "It's deplorable," says Mogul. "We would condemn this type of lawyering in a traffic court, let alone when someone is fighting for their life." Hough chose no special last meal. His final hours were spent talking with friends and family. He is the 7th person executed in the state of Indiana by lethal injection. Prison officials say Hough invited 8 people to witness the execution. Eleven family members of the victims watched in another room. They weren't available for comment. Gov. Frank O'Bannon denied clemency Wednesday to Death Row inmate Kevin L. Hough, setting the stage for Hough to be executed by lethal injection shortly after midnight. Hough's final hope lies with the U.S. Supreme Court, which has been asked to review the case. Hough's attorneys contend the death sentence is improper because the jury failed to list the factors it considered in recommending execution. O'Bannon's decision was predictable: Since taking office in 1997, he has not commuted a single sentence -- denying 1,081 requests. He has, however, granted 77 pardons, allowing those convicted and punished for mostly minor drug and property offenses to clear their records. The last prisoner to be granted clemency received it in 1990; then-Gov. Evan Bayh gave killer A.V. Hickman his freedom after relatives of the victim asked for his release. It was the only clemency Bayh granted. His predecessor, Robert Orr, granted clemency 118 times. "Indiana is an extreme example of a trend" to use clemency more narrowly, said clemency expert Daniel Kobil, a professor at Capital University Law School in Columbus, Ohio. "It really does trivialize the clemency power to use it so infrequently." Clemency frees an inmate early if he or she is rehabilitated or received an unfair sentence because of mistakes at trial. The final decision is the governor's. In each case, O'Bannon said, "my personal feeling is to make sure we follow the law and the constitution of the state of Indiana." He might grant clemency "if there was new DNA evidence showing there was a miscarriage of justice." He found no sign of that in the Hough case. "Hough's guilt is clear and the legal proceedings that led to his death sentence were fundamentally fair," O'Bannon wrote in a statement. Hough killed Ted Bosler and Martin "Gene" Rubrake in their Fort Wayne home. He had requested that his sentence be commuted to life in prison. Other states also grapple with the issue. Kentucky Gov. Paul Patton recently commuted the sentences of nearly 900 nonviolent offenders to save money. Four committed new crimes, and Patton suspended the early-release program in February. Many say the turning point for clemency in Indiana was in 1989, when Alan Matheney killed his ex-wife while on an eight-hour pass from prison. Matheney awaits execution for that slaying. "Ever since then, there's never been a clemency," said Indiana Parole Board Chairman Raymond Justak, who has served on the board for more than 19 years. He is retiring May 30. The inmates, said Justak, know the situation. "We tell them it's like the lottery," he said. "You take a chance on it and you never know, he may go into his last term and grant something." The five-member board hears more than 100 appeals each year. Since 1997, it has recommended that only five inmates have their sentences commuted. O'Bannon denied those petitions. There were 131 clemency petitions last year, down from about 800 a year before 1994. Regulations introduced in 1994 reduced by a third the number of prisoners eligible to seek clemency; some speculate that the long odds also have fueled the drop. The board, with an annual budget of about half a million dollars, also handles parole violators, pardons and some paroles. Members' salaries range from $54,592 to $69,244. In making a recommendation, the board considers the nature and circumstances of the crime, the inmate's criminal record, history while incarcerated and the best interest of the public. "Indiana is a state that's pretty tough on crime," said board member Ray Rizzo. "This is not a state you would assume that's going to be a substantial user of clemency and commutation." 1. Inmate applies for clemency. Comments from the judge and prosecuting attorney and progress reports from the prison are gathered. 2. Indiana Parole Board interviews the inmate. 3. A public hearing is held; those in support or against the person winning clemency can speak. 4. The Parole Board votes on recommending clemency to the governor. 5. The governor makes the final decision. MICHIGAN CITY -- Indiana Gov. Frank O'Bannon on Wednesday denied clemency for Kevin Hough, who is scheduled to be executed early Friday at the Indiana State Prison for killing two Fort Wayne men in 1985. "Hough has presented no new evidence at this stage of the case indicating his innocence or showing that any miscarriage of justice has occurred," O'Bannon wrote in a six-page decision. O'Bannon said Hough has made several arguments over the years in both state and federal courts, including alleged procedural mistakes and having ineffective lawyers, but they have been rejected. O'Bannon said that barring clear evidence of a miscarriage of justice, it was not his place to review potential legal errors. "As governor, I am deeply committed to upholding the Constitution and laws of Indiana, as I have sworn to do," O'Bannon wrote. "My respect for the rule of law and my review of the facts in this case lead me to my decision. Kevin L. Hough's request for clemency is denied." Meanwhile, lawyers for Hough have asked the U.S. Supreme Court to review the case. They contend he was improperly sentenced to death because the jury failed to list what aggravating factors it found in deciding to recommend the death sentence. Despite that, a judge sentenced Hough to death and listed three aggravating factors: murder during a robbery, a double murder and a prior murder conviction, the lawyers said. Hough was sentenced to death in the murders of Martin Rubrake, 56, and his longtime roommate, Theodore Bosler, 49, at their Fort Wayne home during a robbery on Nov. 6, 1985. Hough also murdered a Polish immigrant, Antonio Barkowiak, 11 days earlier. Hough's attorneys, John L. Stainthorp and Joey L. Mogul, argue in their appeal, filed Monday, that Hough was eligible for the death penalty only if aggravating factors outweighed mitigating factors. The determination "that the aggravators outweighed mitigators had to be made by a jury beyond a reasonable doubt," they said. "In Hough's case, there was no such verdict." "A jury should have made the finding that the aggravators outweighed the mitigators in the case," Mogul said Tuesday. A similar appeal was filed Friday to the 7th Circuit Court of Appeals in Chicago. The Indiana Attorney General's Office already has filed an opposing motion in the 7th Circuit Court of Appeals and planned to file a motion with the U.S. Supreme Court Wednesday, spokeswoman Staci Schneider said. Mogul said the two appeals are all the defense team plans. "I think that on the merits the appeal should be granted," she said. "I can't really speak to the likelihood of success." In Indiana, the road to the execution chamber is a long one. Hoosier inmates spend more time -- 10.4 years -- awaiting execution than prisoners in every other state but two, according to the U.S. Department of Justice. Some Death Row inmates get so tired of it they waive appeals, asking to die. Others stretch out their wait as long as possible with hope, kept alive year after year, that they may see their convictions overturned. All the while, they grow older. For the relatives of the murdered, the pain doesn't lessen over time. They wonder why killers are allowed to continue living. The only states with longer waits are Idaho at 10.6 years and Tennessee at 10.8 years. They have each executed only one prisoner since 1976, compared to Indiana's nine. Nearly half of Indiana's 40 Death Row inmates have been there for at least 15 years. By the end of the year, seven will have spent two decades or more waiting to die. The delays mean the state faces executing inmates with health problems or those who have slipped into mental illness. Some argue their deaths would no longer serve a larger purpose. And that's why the families of the victims plead for a faster system. They no longer know if justice delayed is justice served. They just want the process to be over. Kenneth Rubrake wants the man who killed his brother "to lay down in a 6-by-8 cell and rot for the rest of his life." His brother, Martin "Gene" Rubrake, was killed by Kevin L. Hough in 1985. "To execute him, that's the easy way out," Rubrake said. "It don't hurt." Hough is scheduled to die Friday. The Fort Wayne man has spent more than 17 years on Death Row. Nationwide, the average stay for prisoners executed in 2000 was 11 years and 10 months, according to the Department of Justice. There is no clear reason inmates spend more time on Death Row in Indiana than in other states. In the past, overloaded courts meant appeals couldn't be heard quickly, and those sitting on Death Row had an interest in seeking delays. But recent changes in federal and state laws have restricted the number of appeals filed and expedited the process slightly. The Indiana Supreme Court now sets a schedule for post-conviction hearings to standardize the time taken to review the cases. Defendants who have been recently sentenced probably will move through the appeals process faster than those with older cases, said Paula Sites, staff attorney at the Indiana Public Defender Council. The wait for Allan Streett's killer to die has been an excruciating one for Streett's daughter, Laurie Arlotta. Nearly 24 years ago, a jury sentenced Michael W. Daniels to death for gunning down her father in a $1 robbery outside their Indianapolis home. Daniels, 45, has been on Death Row longer than anyone else in Indiana. "Year after year, it goes on and on," said Arlotta. She said her mother, Sally Streett, struggled with depression for 15 years before dying of heart disease in 1999. "My mother basically (was) supporting this man, through her taxes, she (was) paying his room and board." It costs nearly $20,000 a year to keep someone in an Indiana prison. But while Arlotta believes in capital punishment, her brother, Tim Streett, does not. "A death penalty simply guarantees a long drawn-out legal battle," said the Indianapolis man. Daniels seems to prove Tim Streett right. Daniels' case was reversed in 1989 but upheld in 1990; then his sentence was overturned in 1995 but reinstated in 1996. Now, attorneys for Daniels are asking a federal judge to appoint a guardian, arguing he suffers from schizophrenia or delusional disorder. His attorney, Eric Koselke, says Daniels is incompetent, and executing him would be cruel and unusual punishment. At least one other Death Row inmate had to have a guardian appointed for him. Indiana's oldest inmate, 71-year-old Richard D. Moore, is partially deaf and blind, and suffers from diabetes, hypertension and dementia. "I will not feel safer the day they execute Richard Moore," said Monica Foster, an Indianapolis defense attorney specializing in death penalty cases. In November 1979, enraged over his divorce from Rhonda Caldwell, Moore stormed into her Eagledale home with a shotgun. He killed Caldwell, her father, John Caldwell, and patrolman Gerald Griffin, the first to respond to the scene. But instead of being executed, Moore has grown older. Clark County Prosecutor Steven Stewart, a death penalty advocate, thinks the lengthy appeals process has made the death penalty less of a deterrent. "As a prosecutor, it's exasperating to see case after case after case, continuance after continuance, appeal after appeal," he said. The 1996 federal death penalty act was supposed to quicken the process but has led to more briefs and hearings. Twenty-three of Indiana's Death Row inmates are in the federal stages of their appeals. But speeding the process may mean mistakes will go uncorrected. "The problem is that the criminal justice system is administered by fallible human beings," said Foster, the defense attorney. "You're going to have mistakes made." So cases drag on, leaving people like 77-year-old Ruth Caldwell to wonder whether they will die before convicted killers. Her daughter and husband were murdered by Moore, and she was injured that day in 1979. Her son died in 2000. "I really don't know how long I've got," said Caldwell, who had open heart surgery in 1996 and four heart attacks last year. "I would like to see him die." • Direct appeal of the evidence and rulings at trial. This is often made with the defendant's trial attorneys. • Post-conviction relief, when in one or more appeals, new attorneys review the case and the competence of the defendant's trial lawyers. Newly discovered evidence such as DNA may be presented. • Writ of habeas corpus petition, when different attorneys ask a federal judge to review the constitutionality of earlier proceedings. • Michael Daniels, 45, Marion County. Date of crime: Jan. 16, 1978. Crime: Killed Major Allan H. Streett, 43, Indianapolis, during a $1 robbery, while Streett shoveled snow at his home. Status of appeal: His sentence was overturned by a special judge in 1995 because of the existence of a pretrial plea agreement. The state Supreme Court rejected the agreement and reinstated the death sentence in 1996. His appeal is pending with U.S. District Court in Indianapolis. • Richard D. Moore, 71, Marion County. Date of crime: Nov. 6, 1979. Crime: Murdered ex-wife Rhonda Caldwell, 27, father-in-law John H. Caldwell Sr., 54, and Indianapolis police officer Gerald F. Griffin, 29, at the Caldwells' Indianapolis home. Status of appeal: In 1995, his guilty plea and death sentence were thrown out. The Indiana Supreme Court in 1997 reinstated his convictions and ordered a new sentencing. His death sentence was reinstated in 2000. In January, the U.S. Supreme Court blocked his execution to give him time to file a federal appeal. • Donald Ray Wallace Jr., 45, Vanderburgh County. Date of crime: Jan. 14, 1980. Crime: Murdered George Patrick Gilligan, 30, his wife Theresa Gilligan, 30, children Lisa, 5, and Gregory Gilligan, 4, when the family returned to their Evansville home while a robbery was in progress. Status of appeal: His appeal is pending with the Seventh Circuit Court of Appeals. • Zolo Agona Azania (aka Rufus Averhart), 48, Lake County. Date of crime: Aug. 11, 1981. Crime: Killed Gary Police Lt. George Yaros, 57, during a bank robbery. Status of appeal: Last November, the Indiana Supreme Court found that a computer glitch resulted in no blacks serving on the Allen County jury that convicted Azania, who is black, and ordered a new hearing. • William A. Minnick, 39, Putnam County. Date of crime: Oct. 26, 1981. Crime: Stabbed to death Martha Rushing Payne, 24, at her Greencastle home. Status of appeal: The Indiana Supreme Court overturned his conviction in 1984 because his taped confession was illegally obtained. Minnick was convicted again in 1985, but his death sentence was overturned by a federal judge. The state is appealing. • Marvin Bieghler, 55, Howard County. Date of crime: Dec. 10, 1981. Crime: Shot to death Thomas E. Miller, 20, and his wife Kimberly J. Miller, 19, in their mobile home near Russiaville. Status of appeal: Pending with U.S. District Court in Indianapolis since 1998. • Mark Allen Wisehart, 40, Madison County. Date of crime: Oct. 9, 1982. Crime: Murdered Marjorie R. Johnson, 65, Anderson, in her apartment. MICHIGAN CITY, Ind. -- It was Kevin Hough's final chance to make a personal plea to the Indiana Parole Board -- and what it heard Wednesday probably didn't come as a surprise. Hough, 43, who is scheduled to be executed May 2 for the 1985 murders of two Fort Wayne men, said he didn't kill anyone. Then who killed them?, a Parole Board member asked during the hearing at the Indiana State Prison. "Your guess is as good as mine," said Hough, who asked for his sentence to be commuted to life in prison. "I wasn't there." Hough was convicted in Lake County of murdering Ted Bosler and Gene Rubrake at their Fort Wayne home on Nov. 6, 1985. According to court documents, Hough and his younger brother went to the victims' home and helped them bring their groceries inside. They went to the basement, where Hough pulled out a pistol and ordered them to hit the floor. He then shot Rubrake in the chest and Bosler in the back. Hough told the five-member board Wednesday that he and his 16-year-old brother went to buy marijuana that night and then went their separate ways. His brother, Duane Lapp, testified against him during the trial, but Hough claimed he went to a friend's party later that night and did not commit the murders. Hough, who has numerous prior convictions for trespass and burglary, also received a 60-year sentence for the Oct. 27, 1985, torture and murder of Antoni Bartkowiak. "It's a heck of a thing to have three murder convictions hanging over your head and to say you didn't do any of those," remarked Valerie Parker, a board member and licensed psychotherapist. Hough responded that his trial attorneys were incompetent and did not challenge the evidence at his trial. "He has received abysmal legal representation," his attorney, Joey Mogul, said before the hearing. In his clemency petition, Hough's attorneys pointed out that Hough's two part-time public defenders failed to adequately represent him. But Hough's conviction was affirmed by the Indiana Supreme Court, and he has exhausted his appeals. Both Hough's family and the victims' families were at the hearing. "I have thought about that a lot," Hough said of the victims' families. "It's pretty harsh. They said they wanted the judge to kill me. I do have compassion for other people, but I'm not the one who killed their family (members)." Defendant was convicted of two counts of murder and was sentenced to death in the Allen Superior Court, Criminal Division, Edward J. Meyers, Special Judge, and defendant appealed. The Supreme Court, Pivarnik, J., held that: (1) introduction of victims' family members to judge during sentencing was not improper; (2) defendant was not entitled to court-appointed psychologist; and (3) application for death penalty properly contained allegation of robbery. Affirmed. Shepard, C.J., filed opinion concurring in result. DeBruler, J., filed opinion concurring in result in part and dissenting in part. Dickson, J., filed opinion concurring in part and dissenting in part. Defendant-Appellant Kevin Lee Hough was charged in the Allen Superior Court, Criminal Division, with the knowing or intentional murder of Martin Eugene Rubrake and Theodore G. Bosler. The State also filed an Application for Death Sentence. The jury found Hough guilty of both counts of murder and further recommended the death penalty be imposed. The trial court found Hough guilty of the two murders, found sufficient aggravating factors peculiar to Hough and the crimes which outweighed mitigating circumstances that existed, and imposed the death penalty. Six issues are presented for our review in this direct appeal: 1. violation of Hough's constitutional rights when members of the victims' families stood up to be introduced during the sentencing hearing, and inclusion in the presentence report of letters and opinions of the victims' family members; 2. refusal of the court to appoint experts to assist Hough in the preparation of his case; 3. alleged improper foundation and chain of custody of items of evidence; 4. permitting the application for death penalty to contain an allegation of robbery; 5. error in using statutory aggravating circumstances against him during sentencing; and 6. erroneous jury instructions used during sentencing. The facts show that victims Ted Bosler and Gene Rubrake lived together at 1127 West Wayne Street in Fort Wayne, Indiana. On November 6, 1985, Kevin Hough and his brother, Duane Lapp, went to the home of Bosler and Rubrake and killed both of them by shooting them with a .45 caliber automatic pistol. Witness Don Maley testified he had known Hough for about three months and on that date saw him at about 5:00 p.m. The two of them went to the vicinity of the victims' house and walked around the area. Hough then took Maley home and when they got back to Maley's house, Maley asked Hough what the trip was all about. Hough told Maley his cousin was renting from "two guys" and when his cousin couldn't pay the rent the two guys had taken his "stuff" and he, Hough, was going to get it back for him. Maley asked Hough why he hadn't done it when they were in the neighborhood and Hough said there were some people there and he would have to go back later. Later that evening Maley again saw Hough, who told him, "I went back to that house tonight and pulled a gun on those guys and one of those guys lunged at me and I shot him. I told the other guy to get on the ground and I shot him through the back." Record at 895. Hough also told Maley he had taken some rings from the two men. Bosler and Rubrake were known to wear jewelry frequently but their rings were not found after their deaths. Duane Lapp testified he and Hough went to the victims' residence at about 7:50 p.m. By a circuitous route they walked to the corner of Wayne and College where Rubrake was taking groceries out of a car. Hough talked to him and offered to help carry the groceries into the house and they did so. Bosler joined them inside. They all went downstairs into the basement where Hough pulled a .45 caliber automatic pistol from his shoulder holster, pointed it at the two men and told them to hit the floor. Lapp testified the older of the two men swung at Hough with a television remote control and Hough shot him in the chest. The younger man dropped to the floor and Hough shot him in the back. Hough also shot the older man in the face. Lapp and Hough started up the stairs and Hough walked back down to retrieve a container of beer and the remote control unit, both of which had his fingerprints on them. On his way up the stairs, Hough stepped on the older man's face. Lapp and Hough walked back to the car, went to Maley's house, then back to Hough's residence, arriving there about 8:47 p.m. Hough told his sister, Joyce Hough, between 9:00 and 9:30 p.m. on November 6 that he had "walked into a set-up" and had killed two people. Defendant, whose convictions on two counts of murder and death sentence were upheld on direct appeal, 560 N.E.2d 511, filed petition for post-conviction relief. The Allen County Superior Court, Edward Meyer, Special Judge, granted state's motion for summary judgment and denied petition. Defendant appealed. The Supreme Court, Selby, J.,held that: (1) defense counsel's failure to make numerous objections was not ineffective assistance; (2) defendant did not establish that counsel's failure to procure psychologist for penalty phase was ineffective assistance; (3) evidentiary hearing was not required on defendant's claim concerning psychologist; (4) trial court properly considered mitigating factors; and (5) trial court's jury instructions at sentencing phase did not violate defendant's constitutional rights. Affirmed. Kevin Hough was convicted of the murders of Ted Bosler and Gene Rubrake in the Superior Court of Allen County, Indiana, and was sentenced to death. After exhausting his state remedies, Mr. Hough filed a petition for a writ of habeas corpus in the district court. The district court denied the petition, but granted Mr. Hough a certificate of appealability. For the reasons set forth in the following opinion, we affirm the judgment of the district court. On November 6, 1985, Mr. Hough and his younger brother, Duane Lapp, set out for the home of Ted Bosler and Gene Rubrake. Once there, Mr. Hough approached Rubrake and helped him unload groceries from his car; Lapp accompanied Mr. Hough. Mr. Hough then followed Rubrake into the basement where Bosler joined them. Once in the basement, Mr. Hough pulled a .45 caliber pistol from his shoulder holster and told Bosler and Rubrake to lie down on the floor. Rubrake swung at Mr. Hough with the television remote control. Mr. Hough responded by shooting Rubrake in the chest. Bosler, however, dropped to the floor; Mr. Hough then shot Bosler while he was lying on the floor. When Rubrake appeared to move, Mr. Hough shot him in the face. Mr. Hough and Lapp then started up the stairs, but Mr. Hough returned to the basement to retrieve a beer can and a remote control that, he believed, might contain his fingerprints. While in the basement, Mr. Hough also removed several rings from the bodies of Bosler and Rubrake. As Mr. Hough left the basement, he stepped on Rubrake's face. After the murders, Mr. Hough took Lapp back to his (Mr. Hough's) home. There, Mr. Hough packed and left for Indianapolis with his fiancee, Noreen Akers. Less than a month before the Bosler/Rubrake murders, Mr. Hough had committed another murder. On October 27, 1985, Mr. Hough had told his friend, Juan Fernandez, that "[t]onight's the night to hit Greg Nicola's house." Tr. 1210, State's Ex.21. Then Mr. Hough, Fernandez, and another man, Donald Maley, went to the home of Greg Nicola for the purpose of evaluating the prospects of robbing the house. Mr. Hough directed Fernandez to park approximately three to four blocks away on another street; Mr. Hough and Maley left the car and went to the house. When Antoni Bartkowiak answered the door, Mr. Hough stuck a .45 caliber handgun into his stomach and backed him into the residence. Mr. Hough made Bartkowiak lie down on the floor, and Mr. Hough and Maley handcuffed Bartkowiak's hands behind his back. Mr. Hough discovered a semi-automatic weapon and shells in the house, which he handed to Maley. Mr. Hough then told Maley to hold it against Bartkowiak and use it if necessary. Mr. Hough then searched the house. After ransacking the house, Mr. Hough questioned Bartkowiak regarding cocaine that he believed to be in the residence. When Bartkowiak denied knowledge of the cocaine, Mr. Hough used a device to inflict electric shocks on Bartkowiak. Mr. Hough and Maley then took Bartkowiak to the basement. En route downstairs, Mr. Hough instructed Maley to return to the main floor to get a cushion from the couch. Once in the basement, Mr. Hough forced Bartkowiak to lean over a rollaway bed. Mr. Hough then took the cushion, placed it over the back of Bartkowiak's head and shot Bartkowiak. After the murder, Mr. Hough and Maley returned to the car and left for home. Mr. Hough took two bags of stolen items to the basement of the house and emptied the contents. Mr. Hough then gave Maley $80 and stated that it came from Bartkowiak's wallet. He also told Maley that he could have the shotgun, but Maley declined. After complaining to Mr. Hough that he had not gotten his share, Maley left. After that, Mr. Hough told Fernandez that he had found an additional $400, but that he did not wish to divide it with Maley because Maley had not done his part. A few days later, Mr. Hough gave Fernandez the .25 caliber semi-automatic weapon and told him to dispose of it; Fernandez did so. Mr. Hough was tried and convicted for the murder of Bartkowiak in November 1986. These proceedings were given significant coverage in the Fort Wayne newspapers.Mr. Hough did not receive the death penalty for that crime. Condemned for killing 2 men during a robbery, Kevin L. Hough was executed this morning. Ending 17 years of appeals, the U.S. Supreme Court denied Hough's final appeal Thursday and refused to stop his execution. Hough, 43, received a lethal injection this morning just after midnight at the Indiana State Prison. He was convicted of the 1985 murders of two Fort Wayne men. "I hope the victims' families get some measure of satisfaction," Hough said shortly before he was put to death. "Hopefully, their grief won't be as much." Prison officials said Hough was pronounced dead at 12:25 a.m.
On Nov. 6, 1985, Hough and his 16-year-old brother, Duane Lapp, went to the roommates' house. Hough helped Rubrake unload groceries from his car, then followed him into the basement. He pulled a .45-caliber pistol from his shoulder holster and told Bosler and Rubrake to lie on the floor. He shot Rubrake in the chest and Bosler while he was lying down. When Rubrake appeared to move, Hough shot him in the face. Before leaving the home, Hough took a beer can and remote control he thought might have his fingerprints and removed several rings from the bodies of Bosler and Rubrake. As he left, he stepped on Rubrake's face. After the killings, Hough dropped his brother off and then almost immediately moved to Indianapolis. 11 days earlier, Hough and 2 other men went to rob a home. Bartkowiak answered the door. Hough stuck a handgun into Bartkowiak's abdomen, made him lie on the floor and handcuffed his hands behind his back. After ransacking the house, Hough used a cattle prod to torture and question Bartkowiak about possible cocaine that was in the house. He then took Bartkowiak to the basement and shot him in the back of the head. Hough was convicted of murdering Bartkowiak and sentenced to 60 years. Hough becomes the 1st condemned inmate to be put to death this year in Indiana and the 10th overall since Indiana resumed capital punishment in 1981.